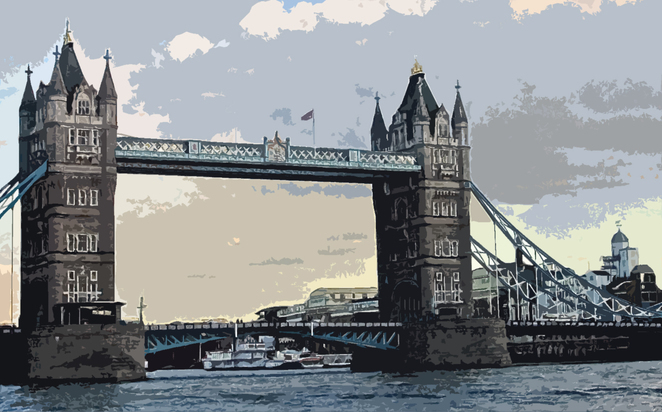 With a yearly average of 10 000 days of filming, London is a film location scout's heaven. Each day, thousands walk through London's streets, unknowingly passing some of the most hardworking stars in Hollywood. They may not be able to sign your bottom, but here are six locations that deserve a little more credit than they get. First down our red carpet is King's Cross and his rival brother station, St Pancras. Having just celebrated its 160th birthday, King's Cross is the setting of a crucial scene in the English classic, The Ladykillers (1955). Filming took place in and around the southern portal of Copenhagen tunnel, where stolen money, hidden as a parcel, arrives on a train from Cambridge. In Mike Leigh's Career Girls (1997), Hannah Mills [Katrin Cartlidge] meets her old college friend Annie [Lynda Steadman] at King's Cross. 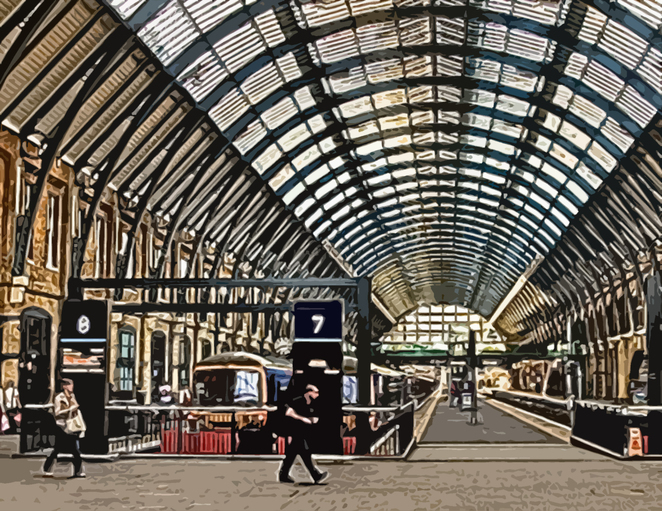 But it wasn't until Harry Potter and the Philosopher's Stone (2001), when the arched wall between Platforms 4 and 5 became the magical entrance to Platform 9¾, that the station got its moment of cinematic glory. Too often, the station's more attractive younger brother, St Pancras, is the pick of location scouts. King's Cross' stardom of was definitely undermined in sequel Harry Potter and the Chamber of Secrets (2002), when the station exterior is revealed as St Pancras. Other films snatched up by this flashier sibling include Mona Lisa (1986), Howards End (1992), and 102 Dalmatians (2000). Following the brothers is the majestic Tower Bridge. This immense structure, often mistaken for London Bridge by the inexperienced tourist, is at his best in the action-thriller. In Brannigan (1975), John Wayne drives a yellow MK2 Ford Capri over the partially opened bridge during a car chase scene – a stunt reproduced with a bus in The Spice Girls' musical comedy Spiceworld (1997). The bridge played it safe in Biggles Adventures in Time (1986) as the home of Air Commodore Colonel William Raymond [Peter Cushing], but was brought back to its thrilling domain by a starring role as the centre of an intense action sequence in The Mummy Returns (2001). In Thunderbirds (2004), bridge operators lift the bascules just in time for The Hood to navigate the captured Thunderbird 2 between the bridge's towers. More recently, the bridge (still under construction, using CGI) played a climactic role in Sherlock Holmes (2009). Most recently, continuity issues surrounded Tower Bridge after its appearance in Wolfman (2010). Despite the bridge having been opened in 1894, the film (set three years earlier) shows the bridge fully operational. 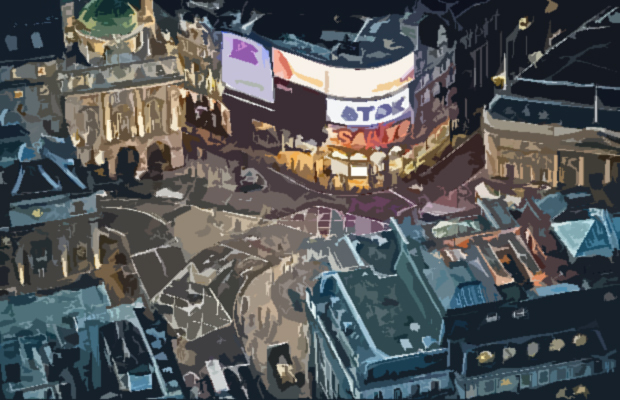 Next down the red carpet is Piccadilly Circus, the notoriously convoluted junction of some of London's busiest roads, which has no doubt haunted the dreams of many location managers. Its debut in An American Werewolf in London (1981) saw a complete shut-down of Piccadilly to the public and traffic – a courageous, but certainly traumatic, moment for Hollywood, because it wasn't until two decades later that the Circus was again seen on the big screen. Yet its second attempt at Hollywood fame in 28 Days Later (2002) was nothing short of controversial. In the film, which follows a handful of survivors trying to find sanctuary after a mysterious virus spreads through Britain, Piccadilly Circus is the location of a missing-persons notice board. Many argued the shot was insensitive to those who had set up similar noticeboards in New York after the 9/11 attacks the previous year. But director Danny Boyle said the shot was based on a photo he saw from an earthquake in China, and that he wouldn't have shot the scene if he'd made the film after the attacks. Piccadilly played it low as a backdrop in Love Actually (2003), but was once again a filmmaker's nightmare in the £21 million adaptation of Anthony Horowitz's bestselling children's book, Stormbreaker (2006). The logistic complexity of the horseback pursuit scene required the assistance of the Household Cavalry and the closing of Hyde Park Corner and Piccadilly Circus. Jessica Parker, the film's associate producer, said it was "an amazing moment when the first assistant director said 'cut' and all the cars reversed back down Piccadilly [into their first positions]." Rolling its way through relentless paparazzi is perhaps London's greatest icon, The London Eye. In A Knight's Tale (2001), one of the film's deliberate anachronisms is an establishing shot of fourteenth century London featuring a stunt-double wooden Eye. But you can be sure it's the real thing in Austin Powers in Goldmember (2002), when the Eye is seen as Austin Powers enters his new London headquarters. 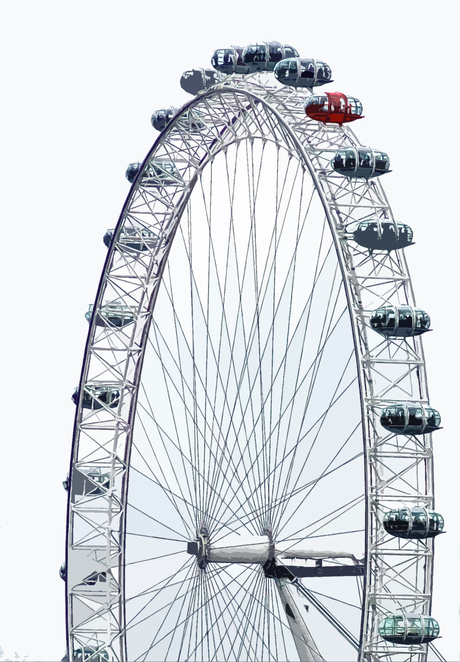 Wimbledon (2004) features a scene in a capsule, and, after the near miss at Tower Bridge, Thunderbird 2 in Thunderbirds, flies over the River Thames and lands next to the London Eye. In The League of Gentlemen's Apocalypse (2005), two characters from the comedy show The League of Gentlemen are seen riding the Eye, much to the confusion of nearby tourists. Harry Potter and the Order of the Phoenix (2007) features the Eye during a chase scene on broomsticks, and in Run Fatboy Run (2007), the Eye watches over Denis whose attempt to run a marathon sees him running late into the night. The Eye has also plays damsel in distress in Fantastic Four: Rise of the Silver Surfer (2007), when the villain threatens it with a whirlpool and forces the Fantastic Four team to stop it falling into the Thames. In a dark corner of our carpet – usually found skirting the Thames from Blackfriars to London Bridge – is the shadowy London Borough of Southwark. It's over London Bridge that Naomi Watts rides her motorbike in Russian mafia film Eastern Promises (2007), while, nearby, Jeremy Irons looks for Meryl Streep under the railway lines between Southwark Cathedral and Green Dragon Court in The French Lieutenant's Woman (1981). The site is immediately behind the Globe Pub on Bedale Street, above which Bridget Jones [Renée Zellweger] lives in Bridget Jones's Diary (2001). It was in this pub that the Great Train Robbery was planned more than 40 years ago. Heading across, through Southwark's historical Borough Market featured in Lock, Stock and Two Smoking Barrels (1999), one comes to Stoney Street. In Harry Potter and the Prisoner of Azkaban (2004), it's here, outside the Chez Michele flower shop, where the Knight Bus pulls up and sets off the alarm of a parked car. At seven Stoney Street is the door to the Leaky Cauldron. Northwest is Southwark's imposing Tate Modern gallery. The former power station features in Judge Dredd (1995), and its Turbine Hall is the entrance to a government minister's residence in thriller Children of Men (2006). 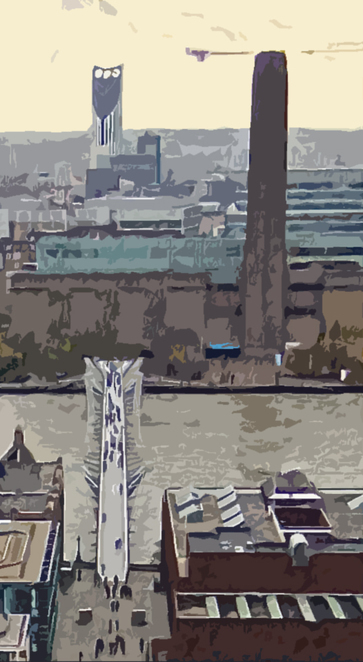 Stretching from the gallery to the north bank, Millennium Bridge starred in a dance sequence in Bollywood film I See You (2006). Further on, Blackfriars Bridge is where Jonathan Rhys Meyers throws evidence of his crime into the river in Woody Allen's thriller Match Point (2005), and although Terry Gilliam's The Imaginarium of Dr. Pernassus (2009) features much of Southwark, Blackfriars Bridge is a standout in this film also. It is from this bridge that the late Heath Ledger is found hanging. Last to strut down our red carpet is the trendy Canary Wharf. Popular with the ladies on hot, summer nights, Canary Wharf was until 2010 home to the UK's tallest building, One Canada Square. This building stands at 244 metres (66 metres less than its successor, the Shard) and stars in spy comedy Johnny English (2003) as the Head Quarters of the French villain Sauvage [John Malkovich]. In The Bourne Supremacy (2004), Canary Wharf is the site of the CIA's London monitoring station, which alerts authorities when Jason Bourne [Matt Damon] uses his passport in Italy. At 20 Canada Square is the foyer where Jude Law and Sienna Miller filmed the New Year's Eve party scene for Alfie (2004). Across the road, Canada Place houses Waitrose on the lower floors, and D&D London's restaurant Plateau on the fourth level. In Batman Begins (2005), Plateau plays the fitting role of a hotel restaurant, and Bruce Wayne [Christian Bale] meets love interest Rachel [Katie Holmes] on his way out of Canada Place. Canary Wharf also featured in Fast and Furious 6 (2013), starring Vin Diesel, Paul Walker and Dwayne Johnson. Producer Neal H. Moritz told Film London he was excited to bring the next chapter of The Fast and The Furious franchise to "one of the world's most amazing cities". "The locations that are available only in London play an integral part of our story," Moritz said. "We're grateful to the people of the city for welcoming the production as we film here."